In highlighting the quality of the book, editors noted, “To ensure that you take home unforgettable memories of Venice, or if you’d like to give someone a special present expressing the mysterious allure of Venice, we recommend the purchase of two beautiful books of evocative photography, published by Bella Figura Publications: Dream of Venice and Dream of Venice Architecture. 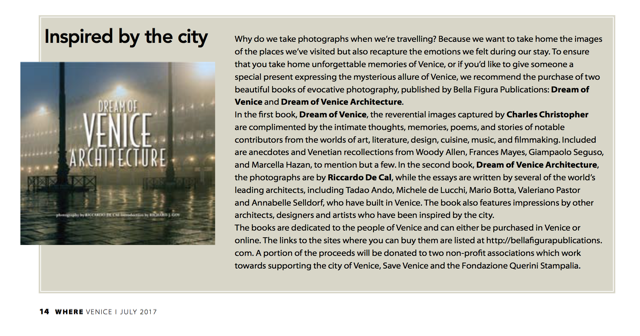 Editors also mention the fact that the books are dedicated to the people of Venice, as a portion of the proceeds will be donated to two non-profit associations which work towards supporting the city of Venice, Save Venice and the Fondazione Querini Stampalia. are complimented by the intimate thoughts, memories, poems, and stories of notable contributors from the worlds of art, literature, design, cuisine, music, and filmmaking.” In the second, they call out the contributors of writing by globally famous architects such as Tadao Ando, Michele de Lucchi, Mario Botta, Valeriano Pastor and Annabelle Selldorf, who have built in Venice; as well as those who contributed impressions who have merely been inspired by the city. You can also view the full PDF. 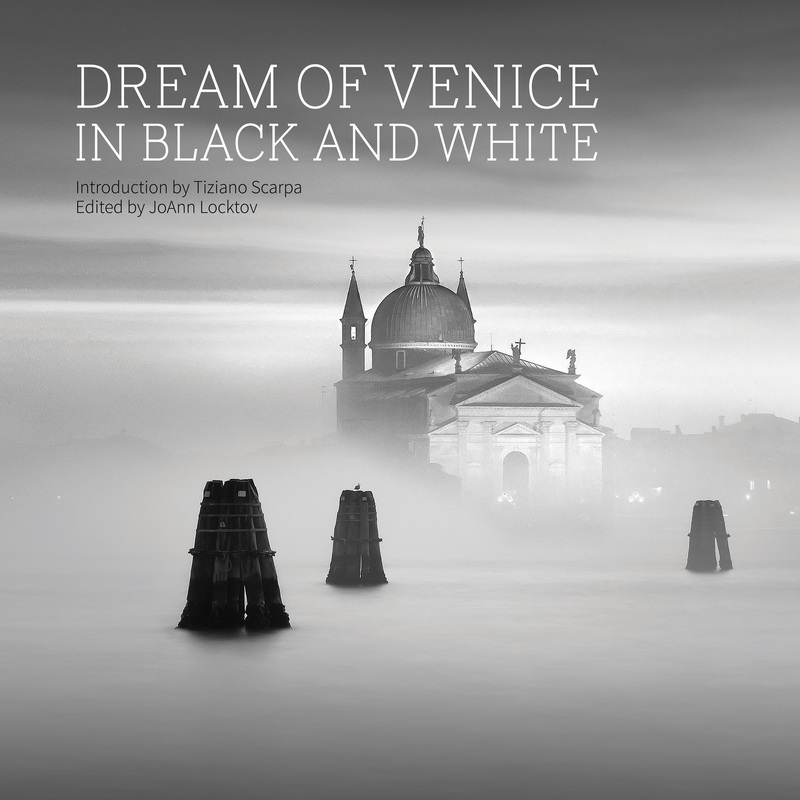 For a bit more insight as to how Locktov came to publish these books, visit the Independent Publisher website where she penned a feature article titled “The Accidental Publisher.” It’s a fun read and a great nod by the organization that recently honored Dream of Venice Architecture with an IPPY Award.